One of the most common questions I’m asked is do I have a bread recipe? And now I’m very happy that I can say yes I do! And its grain, gluten and refined sugar free and you won’t need a bread maker, patience of a saint or be a master baker to make it. Result. Shop bought gluten-free bread is extremely pricey an average price of £2.50/£3 per loaf for anything vaguely resembling bread. As many of us have experienced it often doesn’t keep well, breaks easily or even has massive wholes in it. All a bit frustrating (well that’s a polite word it) for something that’s cost a (relative) arm and a leg. To add further insult to injury it’s ingredients list are often quite shocking, regularly including high sugar levels and generally lots of processed stuff you wouldn’t find in its gluten containing counterpart. And for those of us who eat grain free shop bought GF bread is a no go zone. Many grain and gluten free bread recipes I’ve seen are quite a complex affair and even regular gluten-free flour bread recipes often turn out rock hard and inedible. 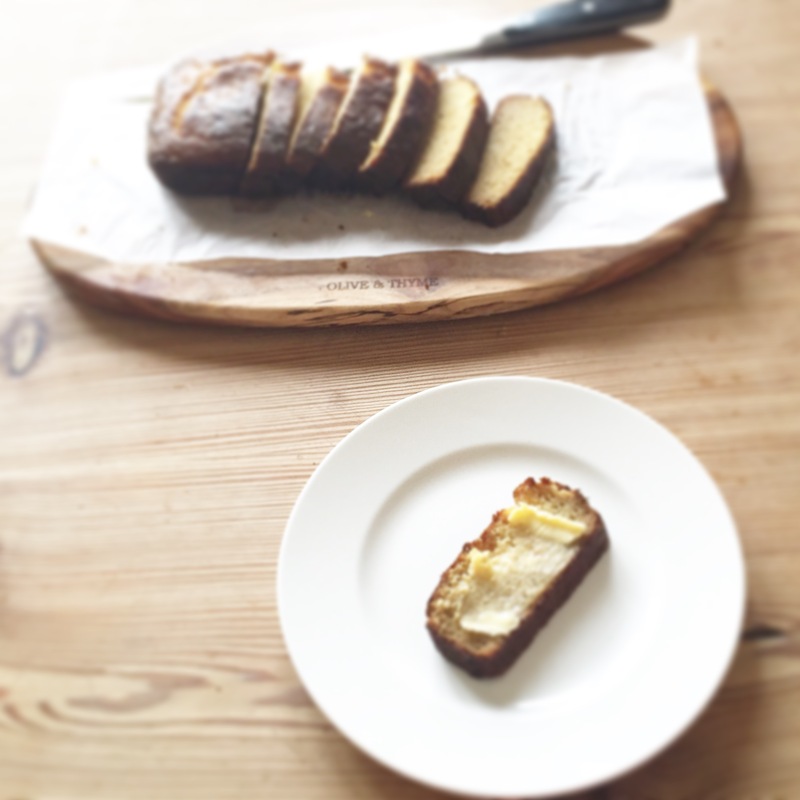 I really wanted to create a recipe that was simple and any one could make without the need for a bread maker, lots of bowls, equipment or a desire to be on the Great British Bake off. This bread is not as tall as regular shop bought loaf but what it lacks in height it makes up for in form and texture. You won’t find any wholes in this bread just a slightly moist well formed loaf of smaller stature. I’m not interested in creating replica versions of food sans gluten. What I’m about is taste and ease, and redefining where necessary food that everyone can cook and enjoy. So here you go here is my first bread recipe. I hope you enjoy it! 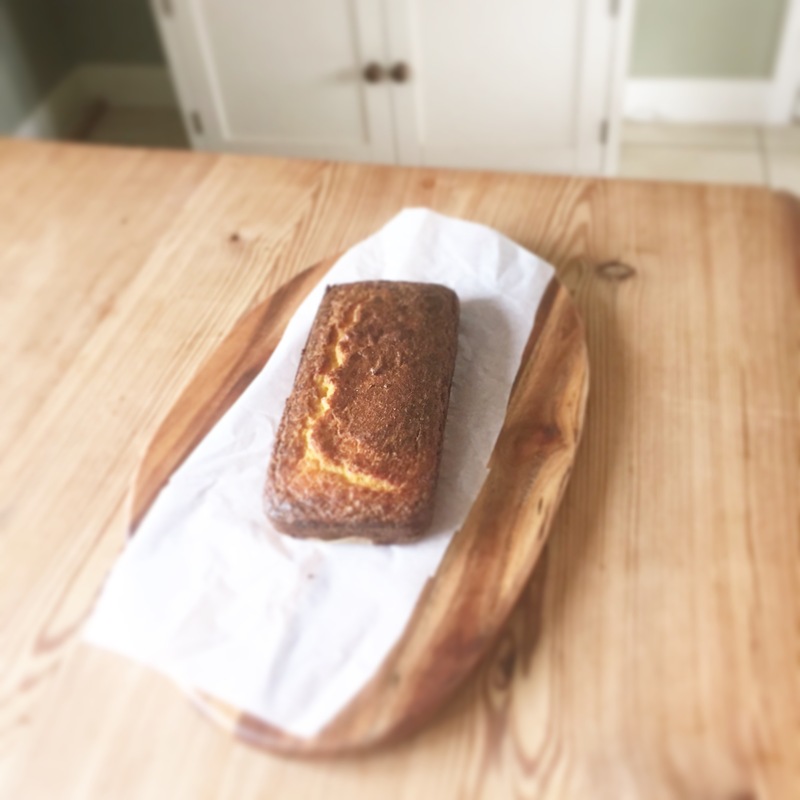 A grain and gluten free bread of slight stature but fantastic form. Mix the ghee and coconut flour together until it is an even thick paste, I did this is a food mixer but you could also do this just as well by hand. Then add the eggs, salt, baking powder, milk and honey. Mix again until in a smooth batter. 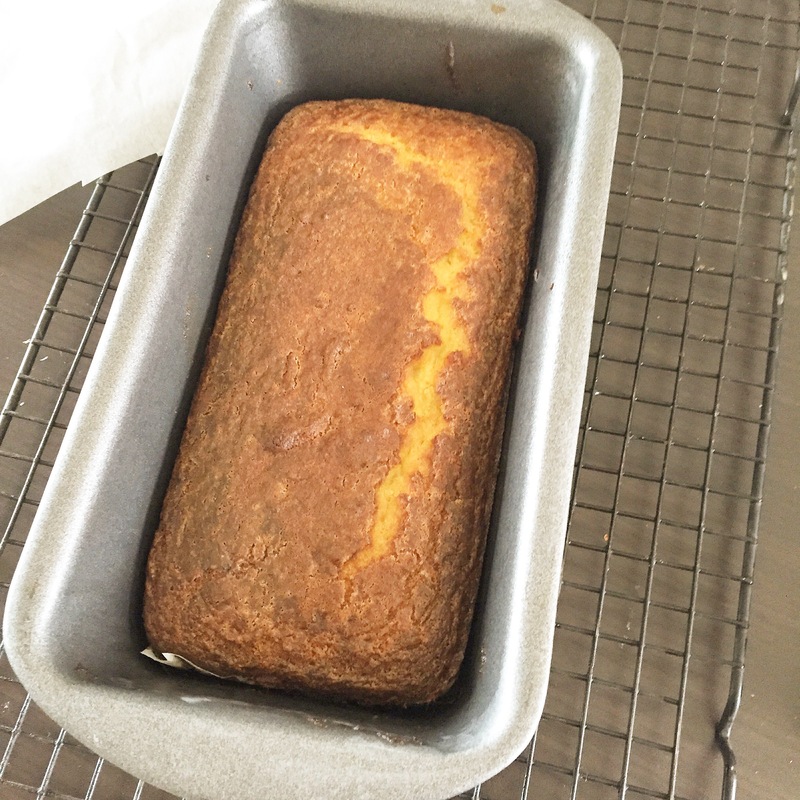 Pour the batter into the loaf tin and place in your pre-heated oven for 40-45 mins. Take out of the oven and rest for 20 mins before gently taking out to the tin by sliding a knife or spatular around the sides of the tin. Once out of the tin, rest on a wire rack for 20 mins before enjoying or storing. Notes: For storage wrap in tin foil and keep in the fridge. I would estimate this bread will keep for up to a week like this but will update after I’ve tried it This bread toasts well and I will go on to experiment making bread crumbs and using it at different meals and food and update shortly….. I just made it! Now I have to wait for it to cool. Thank you SO much for sharing! Wow the fastest response ever. Thank you! Wow I think that’s the quickest anyone has ever followed one of my recipes. Thank you and I hope you enjoy it. So yummy! And very super fuss free! Thank you Bethy. So great to hear! Welcome! I actually liked it too–I don’t like coconut flour so I was surprised. My sister had to go grain free for awhile, so I made it to go with some cream of pumpkin soup she made. Yummy! Thank you for popping back to let me know. That’s great to hear. I’m not a fan of coconut too but love oil and flour.